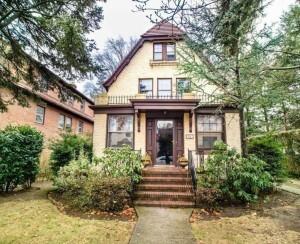 This unique house on Grosvenor Avenue is a fortress, but also walking distance to the express bus. It's been said that one's home is one's castle. This house in the north Bronx is an actual castle, built in 1926 in the French Provincial style. It turns out Bronx castles can be a tough sell. 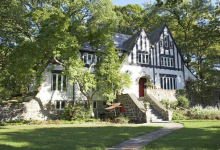 The chateau at 4720 Grosvenor Ave. in Fieldston, between Wave Hill and Van Cortlandt Park, has been listed for sale and for rent several times since 2009. A little over a year ago the listing price was reduced to $3.2 million, down from $3.5 million. The extensive time it's spent on the market could mean that there's substantial room to negotiate. As for the fortress itself, the 30-inch stone walls were cut from the ruins of a Croatian castle, according to a detailed fact sheet that accompanies the current listing. The first owner of the house also owned Italian Shipping Lines, and those stones were transported as ballast on his ships. One of the most grandiose features of the castle is the turret, which the listing suggests be used as a breakfast room. The adjoining kitchen is modern by contrast, outfitted with two sinks, two dishwashers and double ovens. 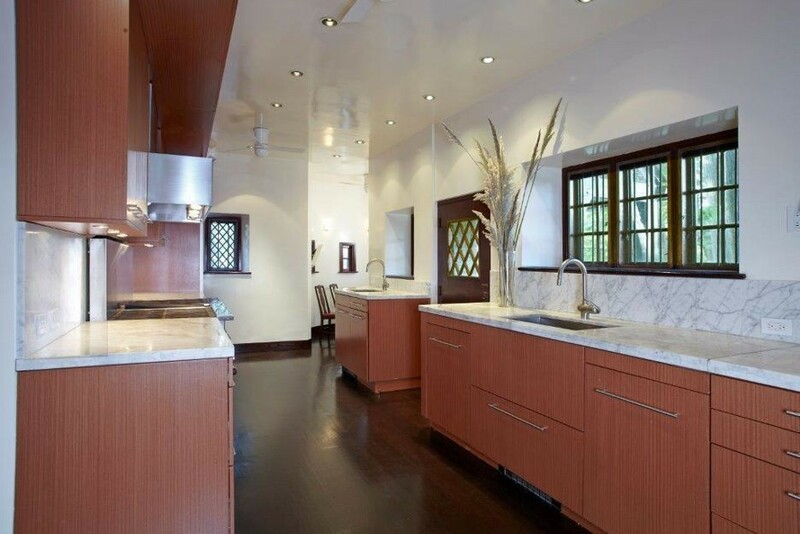 The kitchen also has luscious white Carrara marble counters. 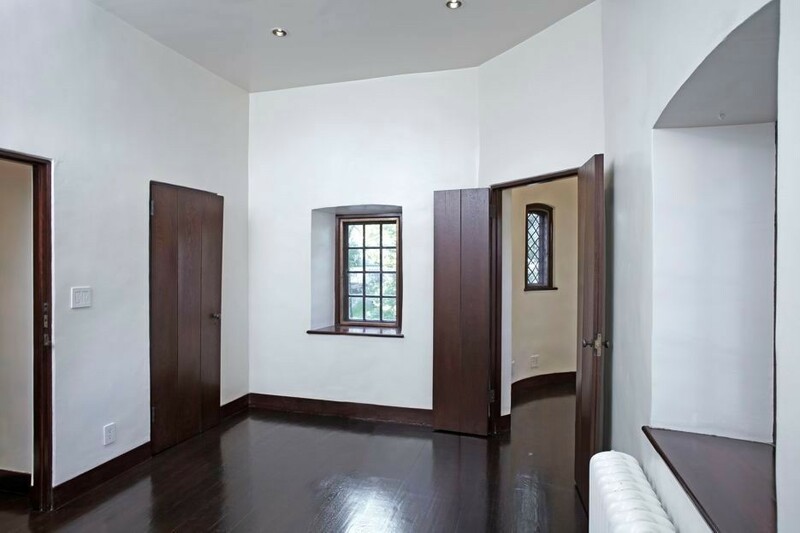 There is a large formal dining room with oak doors. Inside are leaded windows meant to mimic 17th century castle windows. 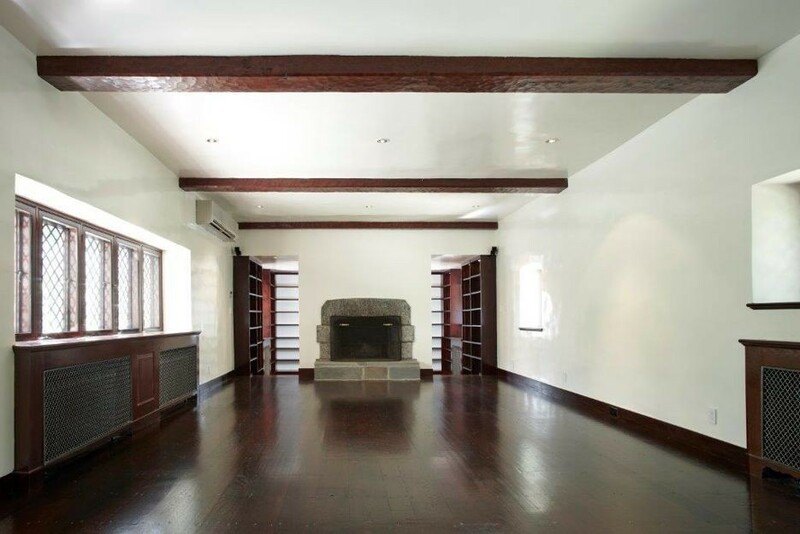 The living room also features leaded windows with diamond shaped panes, and wood ceiling beams. A large stone hearth separates the living room from a library with sturdy wood shelving. The most recent listing gives just a peak at one of the four-and-a-half bathrooms, which seems to have original kiln-glazed tiles. One of the four second-floor bedrooms has an adjoining space within the turret. 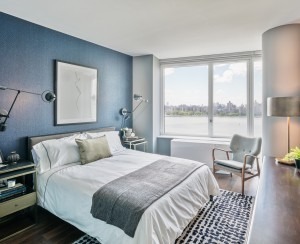 There are no current photos of the third floor bedroom suite, but a fact sheet boasts about an "eagle nest bedroom suite" with cathedral ceilings and a new adjoining bath. 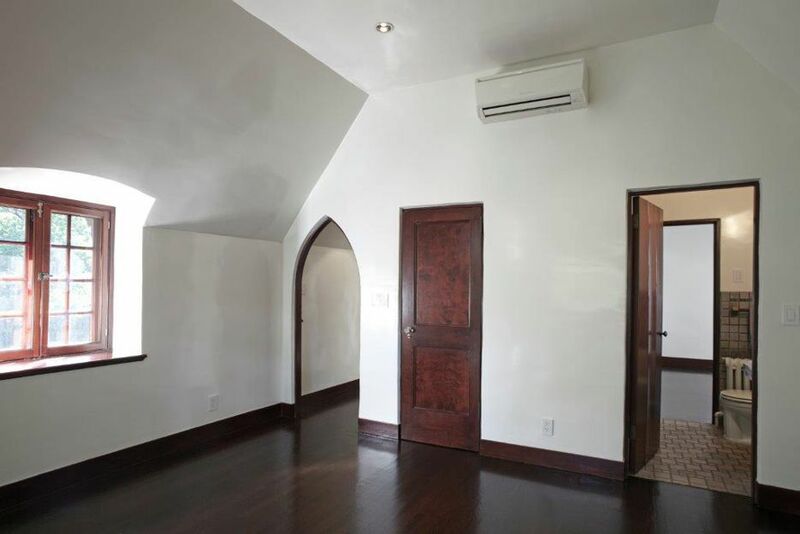 A two-car garage is accessed through amazing nine-and-a-half-foot-tall twin Gothic doors that match the front door. Like any good castle, the house is set above the surrounding terrain. 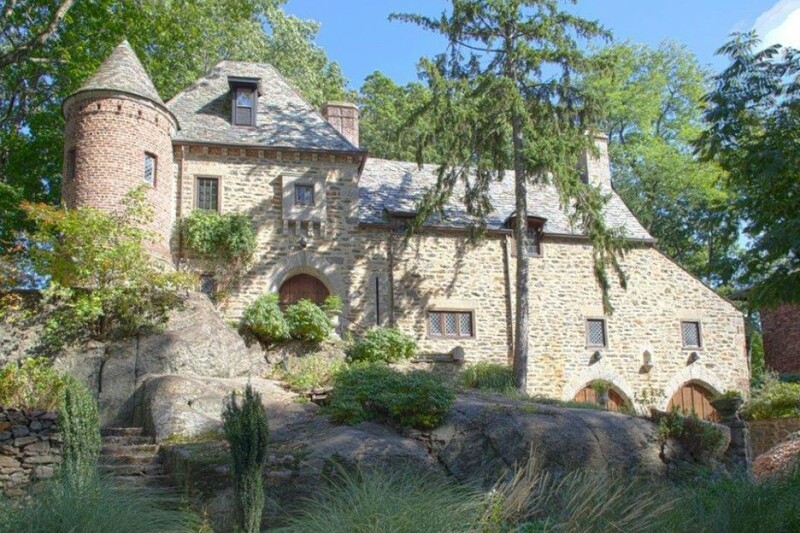 In fact, the listing boasts that the chateau is set upon the second highest point in New York City. The building measures 3,156 square feet in floor area, and is surrounded by almost half an acre of land. 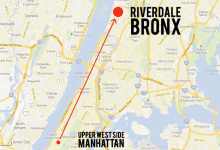 It's a 20-minute walk from the Van Cortlandt Park-242nd Street subway stop and the Riverdale Metro-North station, in opposite directions, and a seven-minute walk from the BxM18 express bus stop at Henry Hudson Parkway W.
Fieldston is a privately owned community within Riverdale, with its own security service, and landmark status. 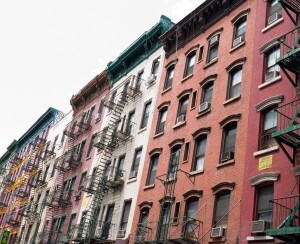 The neighborhood is home to the three elite Hill schools, which are private.